Despite being best known as the brainchild of boutique craftsman Ernesto Perez-Carrillo in the early stages of the great cigar boom of the '90s, La Gloria Cubana is technically one of the oldest premium cigar brands in the world. This, of course, means that LGC traces its roots back to Cuba; where it has been produced on and off to this day. Outside of Cuba, the cigars are best known for their Dominican-based blends, being made at General Cigar Company's facility in Santiago, DR. 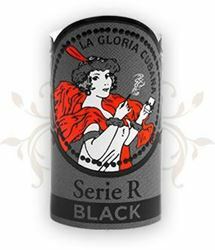 This changed with the introduction of the La Gloria Cubana Serie R Black in 2013. 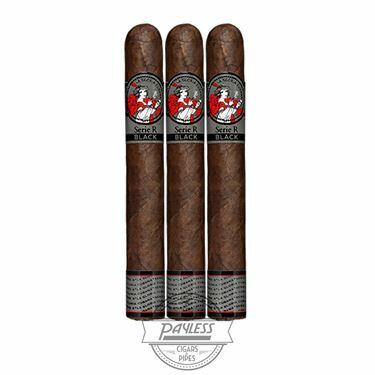 For this special blend, the famed LGC name dove head first into the fiery realm of Nicaraguan cigars. LGC Serie R Black is the first Nicaraguan puro and the first LGC cigar to be rolled in Nicaragua, made at the STG Estelí factory. Naturally, the cigars are full-bodied, but this is not the main focus. Instead, La Gloria aims to highlight Nicaragua's unique flavor characteristics using heavily fermented and aged tobaccos. The cigars begin with Jalapa and Estelí-based tobaccos in the filler blend; these leaves are bound in a Jalapan viso leaf with two years age; the cigar's wrapper uses a high-priming Jalapa ligero leaf sourced from an independent farmer. This Nicaraguan puro blend is equally refined and intense, showcasing a full body and flavors of dark chocolate, espresso, charred oak, black licorice, and freshly tilled earth.